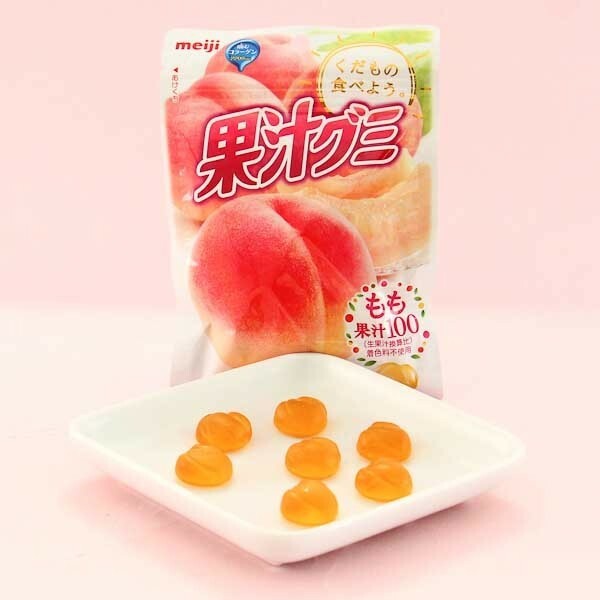 Meiji's Fruit Gumi peach candies are one of the best selling candies in Japan! These soft gummy sweets are made with real peach juices and you can really taste it in their fresh fruity flavor! 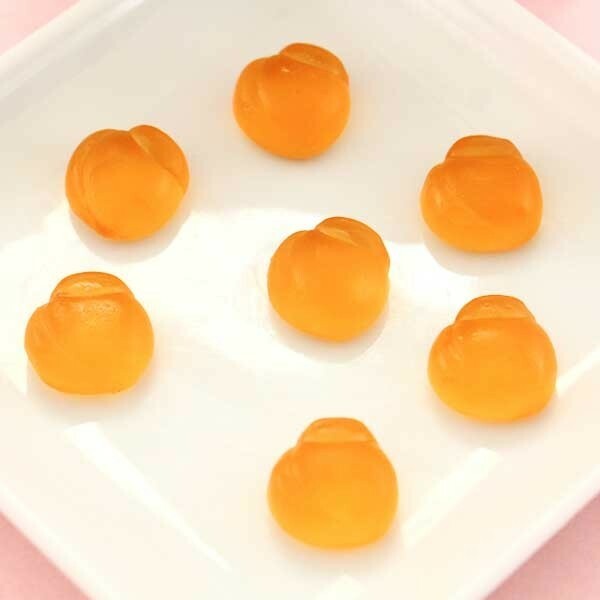 These little gummy drops are packed also with 2800mg of collagen! The package is resealable, so you can enjoy the yummy candies whenever you want. Treat yourself or share them with your friends and family! Yum!